The Quik-E-Seat® stool features a padded backrest and seat and patented Auto-Fold™ Technology shoulder strap allowing for easy opening, closing and carrying. 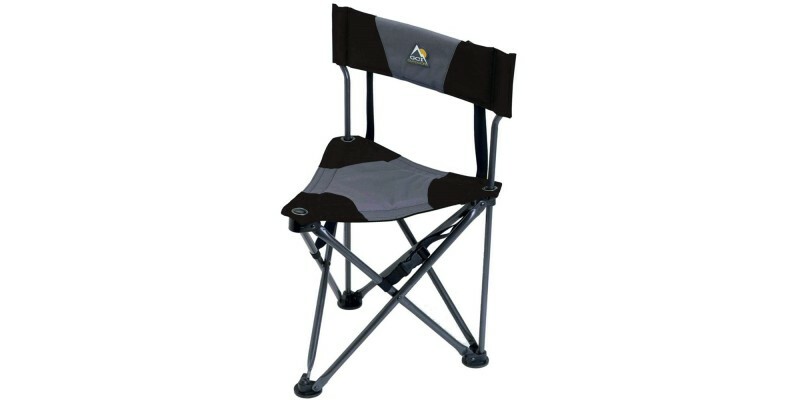 The Quik-E-Seat is constructed of sturdy powder-coated steel and 600 denier polyester, making it the ideal choice for camping, picnicking, sports events and fishing. The Quik-E-Seat includes an extra-wide 18” backrest and beverage holder. Weighs 4 lbs and supports up to 250 lbs. Measures 27” x 18.2” x 14” when open and folds to 27” x 5” x 6”. Available in black, hunter green and midnight blue.